> G5-Silicium> Where in the diet do we find silicon ? Human beings are born with a level of organic silicium that plays a fundamental role in the constitution, balance and immune system of the body. Organic silicium is the 12th most abundant element in our metabolism. We have about 7 grams of it - less than magnesium, but more than iron. Quantity of silicium in human body falls irreversibly with age. silicium exists in all cells, where it plays a protective role. In descending order, it is most concentrated in joints, muscles, tendons, skin, and finally nails and hair. The silicium can therefore play an effective part in cases of osteoarthritis and arthritis by promoting regeneration of cartilage. 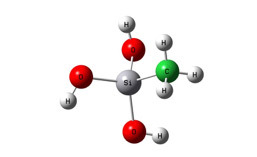 We have all been exposed to silicon in the soluble silicic acid form throughout the evolutionary process. Scientific studies have shown that this form of silicon is most readily absorbed into the human body and utilised by human cells. Green beans and cereal products are particularly high sources of silicon and the body has found ways to digest this silicon into soluble forms allowing much of it to be absorbed. Many changes to the modern diet probably mean that silicon is not as common in the diet as it once was. The purification of tap water, refined processing of cereals and high intensity agriculture are some examples of where silicon can be lost in the diet. Despite this, our average intake of silicon in Europe is probably around 20 – 30 mg/day.